With our unique Magenta infused kaleidoscope lenses, your vision transforms into a galaxy of rose inspired elegance. 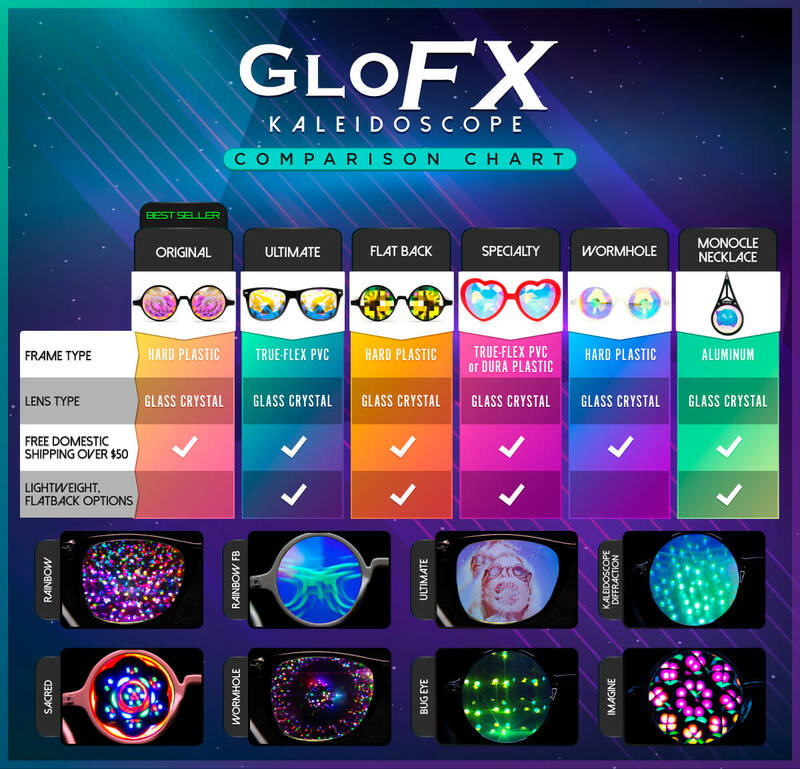 By combining our very stimulating kaleidoscope lenses with our Magenta fumed crystal glass, these kaleidoscope lenses transform your world and add an element of sophistication. Start encompassing your reality with the truly unique and lovely colors of Magenta, and you’ll start seeing everything with a bit more elegance. 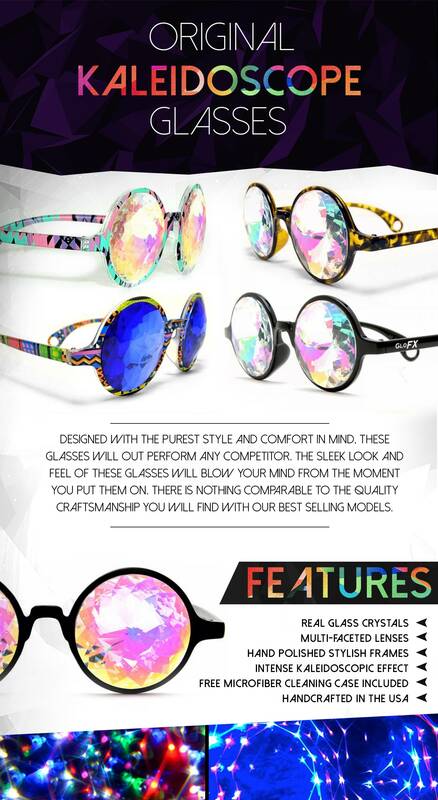 These trippy glasses offer an overwhelmingly pleasant view. They shipped fast and it was double bubble wrapped which I appreciated. It also came with little gifts like a sticker and a discount! Awesome store and awesome glasses.